Welcome to P3 Infrastructure | Bridge & Concrete Sealers - P3 Infrastructure, Inc.
P3’s innovative solutions are designed with the objective to protect and preserve. Our advanced applications defend against traffic and extreme weather conditions to ensure that road and bridge surfaces are sturdy, safe and secure. P3’s bridge overlays are built to increase service life and preserve driving surfaces below. 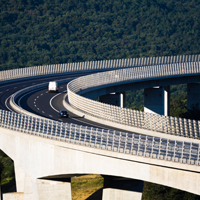 Our innovative polymers shield reinforced concrete, steel plates and RFP bridge decks from damaging wear and tear, regardless of use and exposure. Pavement friction is critical for safe driving, especially in areas with heavy braking, severe curves and steep grades. P3’s high friction driving surface outperforms existing polymer solutions with sustained friction resistance and reduced lifecycle costs. P3’s innovative applications ensure that drivers are safe, protected and uninterrupted, even in the harshest of conditions. 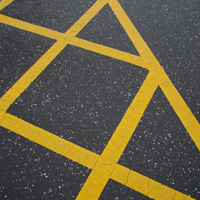 Our reflective pavement markings and plowable marker castings work to extend service life, so road surfaces are safe, secure and long-lasting. 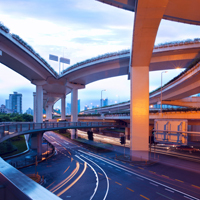 With decades of combined experience in the infrastructre preservation and traffic safety industry, P3 professionals have the experience and know-how to make your protection and preservation projects a success. 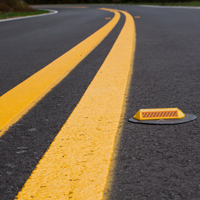 Our bridge protection, traffic safety and high friction surfacing applications are designed to extend the life of your infrastructure assets and maximize driver safety. P3’s creativity, quick response times and customizable solutions help asset owners and contractors complete their infrastructure projects on time and on budget. Take a look at our polymers for protection and preservation, or contact us to get started.